Ken is a second generation dance instructor, has a Bachelors Degree from the University of Pennsylvania’s Wharton School of Businees and a Masters Degree in business administration from Florida International University. He served as the Marketing Director for the International Franchise Headquarters of the Arthur Murray Franchised Dance Studios for 7 years, consulting studio owners around the globe and training the country’s top dance teachers. He served four terms as the elected Vice-President of DanceSport for USA Dance, the National Governing Body for DanceSport in the USA. In this role, Ken administered the DanceSport Council, the National DanceSport Rulebook and the National DanceSport Championships. Following this, he served as a recent National Past President of the organization. 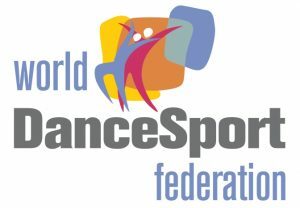 In 2012, he was elected by a majority vote of the member countries of the World DanceSport Federation (WDSF) to serve as a Presidium Member and re-elected in 2013 for a 4-year term. In 2015, after extensive studies in Europe, Ken became one of the first Certified Technical Examiners for the WDSF in the USA. And with all that experience and knowledge, his favorite activity is helping people learn to enjoy dancing. Roseanna has been a student and competitor of dance, training under the country’s top instructors/coaches since the early 1970’s. She has a Bachelor in Fine Arts from the Philadelphia College of Arts. She has run numerous businesses and is the person responsible for making the BlueBallRoom the studio that it is today. It was Roseanna’s dream that brought this studio to life. She designed every aspect of the studio to optimize the dancers experience. Valentine began competitive ballroom dancing at the age of 17. After six years of competing in 10-dance, he decided to specialize in International Standard. In 2005, Valentine headed to London England to study with some of the best ballroom teachers in the world. Upon returning to the U.S., he captured the Amateur North Eastern Championships and placed in the finals at many prestigious competitions across the States. Valentine has been teaching and coaching for a number of years. Students under his study have completed various goals such as medal testing in the syllabus, performing in showcases, dancing socially, preparing for a wedding, and training to compete. His competitive students have placed in the finals and won scholarship awards at various competitions, including the Ohio Star Ball. The past several years Valentine has dedicated to Argentine Tango. Competing each year with his partner Anna Akarman at the United States Tango Championships in San Francisco; they have placed in the semi finals. Their next competition will be April 18th 2019. Many BlueBallRoom students enjoy his attention to detail, his energy and advanced knowledge of technique and styling, making them better partners. Valentine is now taking appointments with beginners and those that wish to dance in Pro/Am Competition. 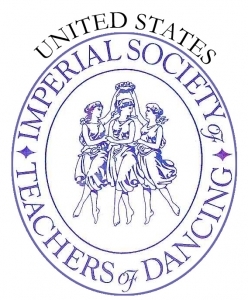 Anna is the most highly decorated instructor with certifications from the US Imperial Society of Teachers of Teachers of Dance in all of Delaware. This comes with years of dedication to dance and an innate desire to understand the principles and techniques that give an instructor the language of dance to help their students’ progress. Her diverse skills means the student learns more quickly and easily while the advanced student will realize new “ah-ha” moments that bring the mysteries of dance together. 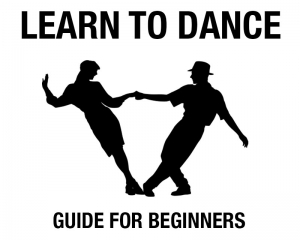 Schedule your next lesson with Anna and discover dancing in a whole new way. Johny is the newest addition to the BlueBallRoom Team. He joins us from Moldova where he trained as a competitive dancer since he was a young child. Graduate of the World Reknowned Team Diablo DanceSport Institute of Italy, the home studio of the WDSF Technical Manuals for Standard and Latin. Soon thereafter he began his application for a working visa and was granted recognition as a unique educator in dance due to his expertise in sports education with the latest technical aspects of dance, being used by the top couples in Europe today. 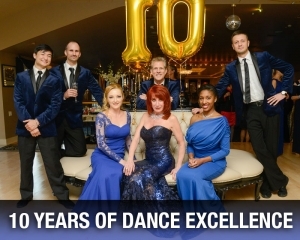 Johny is now dedicated to helping the BlueBallRoom students grow in their dancing – whether they are beginners, wedding couples, showcase performers or competitive dancers. Join one of his classes or schedule a private lesson today. Aidyn has always enjoyed the beauty of dance. His dancing, however, did not start in ballroom. He first began as a Competitive Ice Skater. He competed for several years, training up to six hours a day with professional coaching from Olympic, World and National Medalists. To augment his skating, he began to take ballroom dance lessons. He quickly fell in love with the elegance and intricacy of this unique dance form, performing many Showcase Routines that brought a standing ovation from the audience and high scores from the nationally renown balroom Adjudicators. 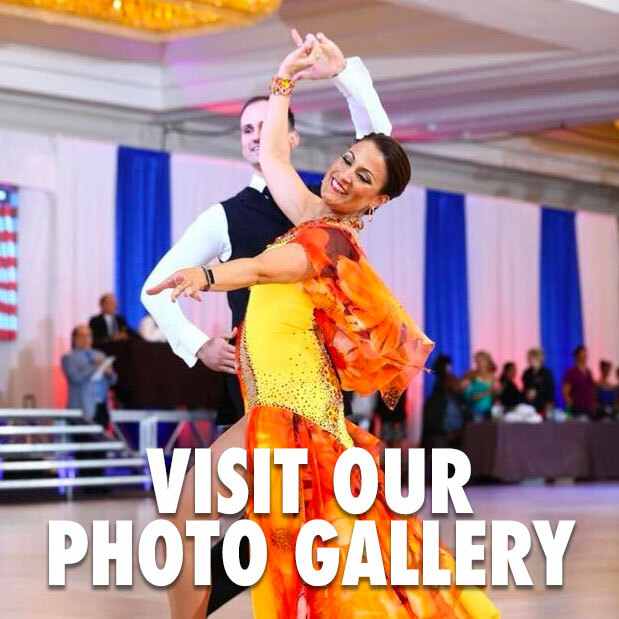 Upon deciding to retire from Competitive Ice Dancing, he switched his focus and attention to perfecting the skills necessary to teach ballroom dance. Aidyn’s commitment and determination, as an athlete, has been instrumental in his pursuit to be an astute and caring Instructor. His admiration for dance reflects in his desire to give back and teach people the joy of partnership dancing at any and all levels of learning. He strives to make dance fun and enjoyable for all his students. He was recently recognized, through an arduous exam process, by the US Imperial Society of Teacher’s of Dance (USISTD) with his Associate Level Degree and is currently working toward additional levels of certification. Gabby started dancing at the young age of two. Her early studies included a range of different dance forms, such as: ballet, praise, contemporary, and victorian ballroom. Even at such a young age, she was immediatly hooked and knew this was what she wanted to do for the rest of her life. She always had a fascination for different dance curriculums and styles through history. Her passion for dance and its history, led her to study and teach, not only ballroom, but many different dances across the eras – such as the dance of the 18th- 20th Century. Her wide array of knowledge includes dances like the: Charleston, Lindy Hop and Jitterbug, as well as more traditional styles of Waltz and Tango. Gabby specializes in Latin American dances, teaching Wedding Dance Routines and Social Dancing. She finds teaching students to be very rewarding as they achieve and exceed their goals. She works diligently to give students the tools they need in order to become confident and comfortable when dancing. And she strives to make her students feel at ease, have fun, and look beautiful in any and every dancing environment. She continues to be dedicated to studying ballroom and is currently working on her technical exams through the US Imperial Society of Teachers of Dance.